In life, we experience so many things and out of those different kinds of experiences, we get to learn many things as well. Learnings have the ability to shape our perception and can also change the way we think and how we behave as we are continuously growing and developing as human beings. We get to understand and learn more things as we grow. Some of the lessons we learn are because of our own self-effort. 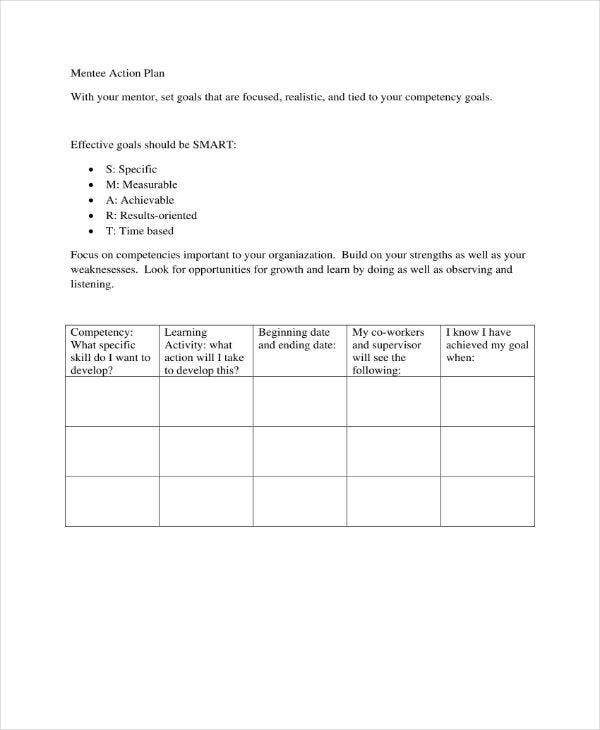 You may also see free action plan templates. By our own efforts of reading books, browsing the internet, and learning new thing, there is no doubt we cannot get any kind of information. But there are some things we get to learn and discover because of the people around us. These kinds of people who give us different kinds of information and perceptions are the likes of teachers, parents, coaches, and friends. 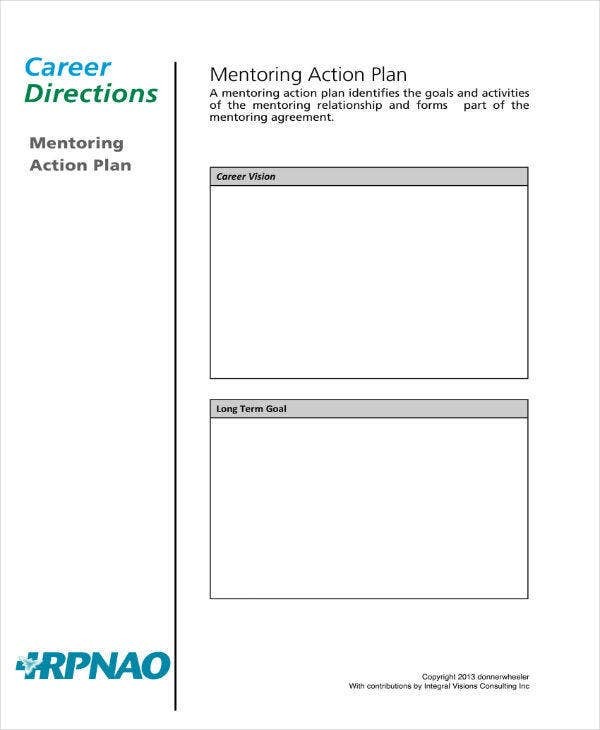 You may also see action plan templates. When we are already in the time we get to work for a living, there are always chances to get promoted. Being promoted is one big step and it would let you try new challenges and achieve different goals and objectives. It literally gives you the chance to go out of your comfort zone. But when you are promoted, you will be going through training for the purpose of being good at the job position you will be in through a guidance of a mentor. 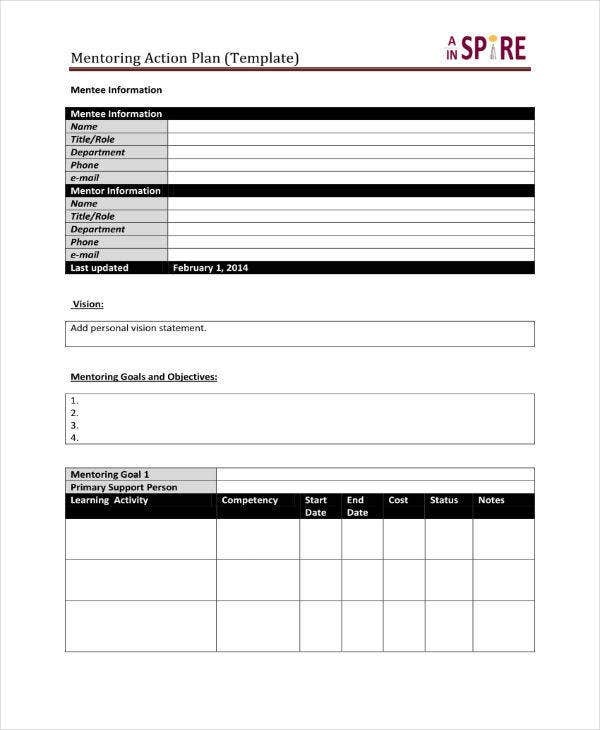 You may also see simple action plan templates. 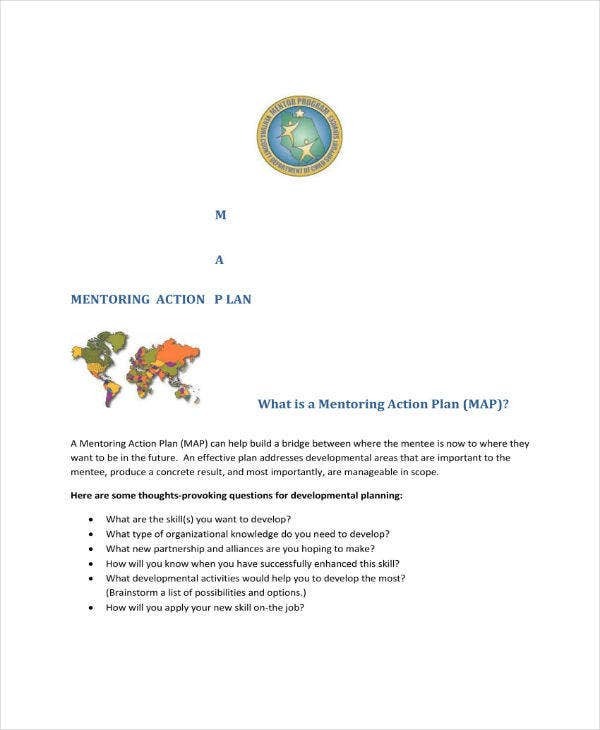 In this article, we will be talking about what a mentoring action plan is. We will also be discussing to you the success triangle and how it links to mentoring action plan. Next, we will be tackling about the benefits that mentoring brings to a men-tee. 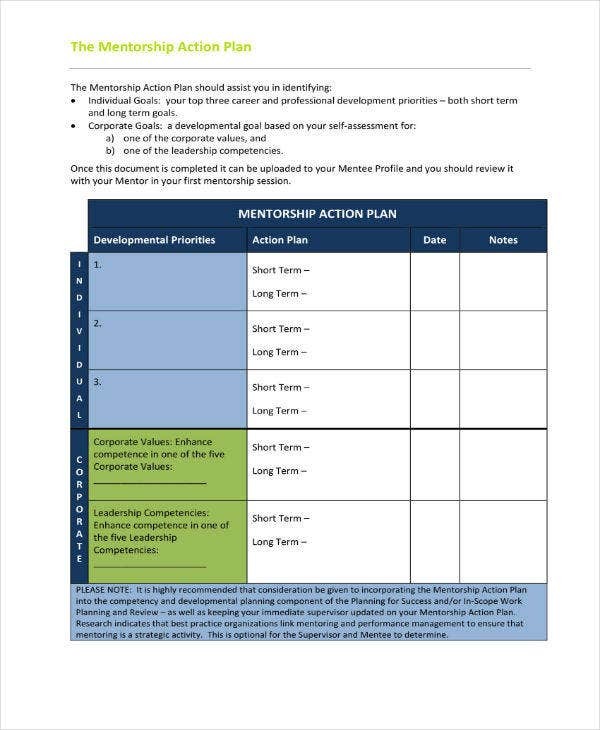 You will also observe that we have displayed some templates here to serve as an additional guide for you in understanding more of a mentoring action plan and how it is important to mentors and men-tee. 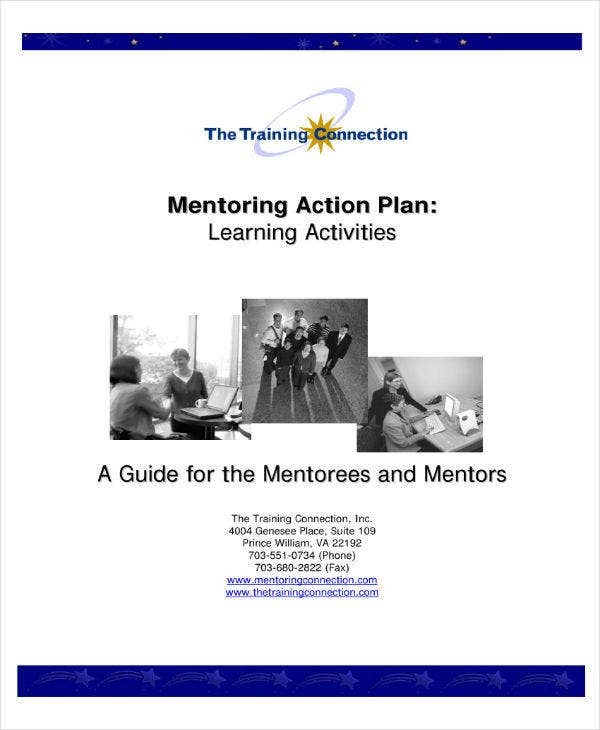 What is mentoring and a mentoring action plan? In our lives, no matter how we claim to be independent and want to learn things by ourselves, that is almost impossible. That is impossible because of the fact that there will always be someone mentoring and teaching us some basic knowledge of some specific fields. These kinds of people are called and recognized as mentors. You may also see school action plans. 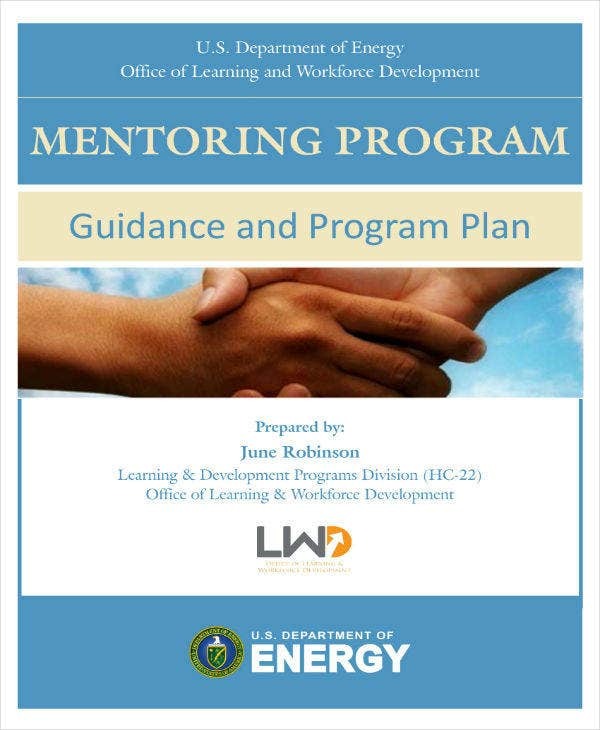 Mentoring is basically present in different kinds of staff or professional development plan. It involves two people who would have measurable outcomes that would benefit the person and the mentor in the company or organisation. It is considered a dynamic process of two individuals because it is a medium for the exchanging of skills and imparting knowledge from the mentor to the mentee. Mentoring gives way to discuss work-related problems and to come up with possible solutions answer some challenges that might be hard for some to solve. Mentors are usually the senior members of a job position who have been in the company for a couple of years now and would train and mentor employees to be better at their upcoming job. The purpose of mentoring is to help the mentee improve their performance, relationship skills, and leadership skills at the same time. 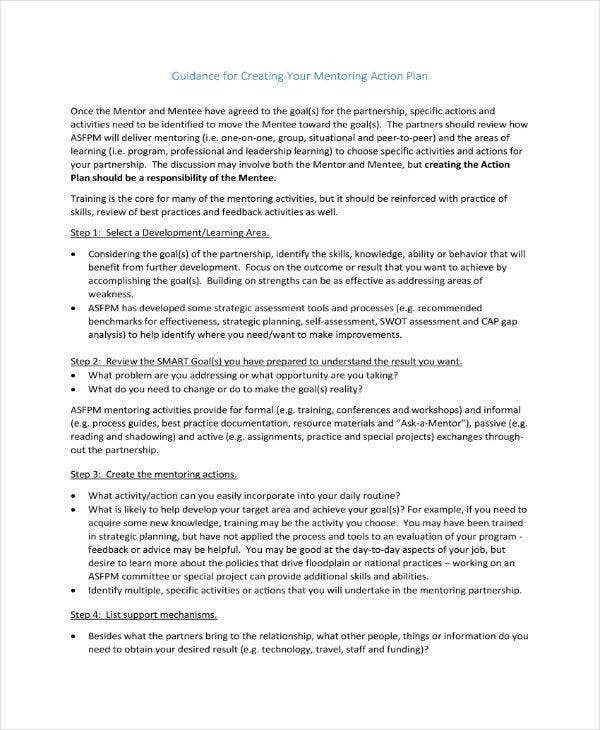 With that being understood, let us now talk about what a mentoring action plan is. You may also see allergy action plans. 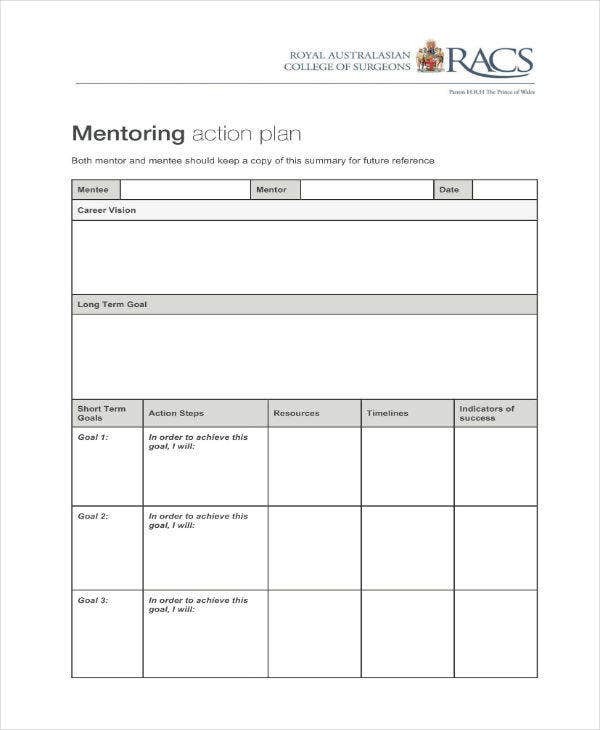 A mentoring action plan is basically a sample plan that determines the activities and goals of the mentor and mentee relationship. It assists you in determining one’s individual goals and the corporate goals of the company since it consists of a mentor and a mentee. The mentoring action plan seeks to help build a bridge between the mentee is at present and where they want to be in the future. Mentoring is no easy task. The people who can mentor are the ones who have the experience of being in a specific field for how many years. Also, in order to be a mentor, one should also experience success in their field and at the same time failure so that it would also encourage the mentee to still continue to pursue excellence in his or her new field despite facing similar failure along the way. Success always plays a great role in mentoring because it can inspire. But when can we actually say that something is really successful? In this article, we will show be explaining to you the Success Triangle by Drahosz and Rhodes. 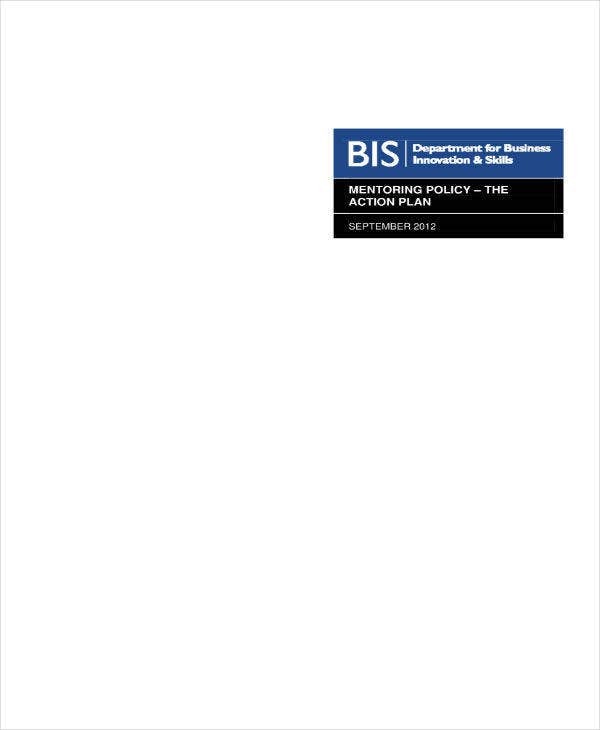 You may also see business action plan templates. This is how effective a person is in trying to master the necessary skills and expertise that is important to have in the new job or in the career he or she is going to face. This dictates the gaining of a skill to be good with relationships with other people. This involves having good communication skills and also being a good friend. You may also see sample emergency action plans. This is how one understands and navigates the company’s organisation and handles its formal and informal structure with ease and care. You may also see a sample strategic plan templates. Those are basically the three things that make up success according to Drahosz and Rhodes. This success triangle can also work for other fields, not just in the office. With the help of the mentor, he can guide the mentee to those 3 sides of the success. Knowledge isn’t enough to be successful but also having a good relationship with others especially your employees is so important. You may also see career action plans. Balancing relationship with employees and having knowledge or expertise about the position and the organizational culture of the company makes the journey to success not easy, but definitely worth it in the end. Struggles will always be present in the journey to success and it will never be easy especially if the reward or the achievement would be life-changing and that is already something worth going to. You may also see sample affirmative action plans. 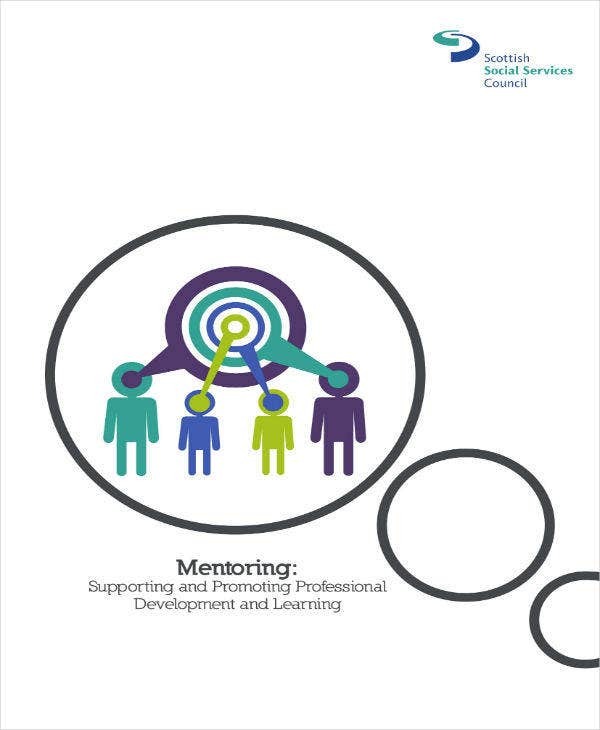 In this part of the article, we will be tackling the benefits of a mentoring action plan. Helping someone out to be the best person and professional that they can be in the future is a great blessing and a great opportunity to have because it has the possibility to change someone’s life. You may also see simple action plan formats. Get the chance to focus on what should be needed to grow professionally as an employee. You may also see incident action plans. Recieve have the opportunity to have career development. Lean your strengths and explore your own potential. You may also see asthma action plans. The mentor will learn how to adapt his teaching strategies to different people who were born in different places and different years. You may also see project action plans. The mentee will learn new things that would ultimately challenge him to be the best person that he can be. You may also see sample incident action plans. These are just some of the many benefits that would be beneficial for the mentor and the mentee at the same time. Take note that the mentor was also a mentee before. The mentee should listen carefully to his mentor and be open to new ideas since the mentor has more experience and knowledge. The mentor should also find new ways to communicate effectively so that every input that he would relay would be understood better by the mentee. You may also see employee action plans. The mentor action plan would never be as effective as it is expected to be if the relationship would not really work. The mentee should listen and the mentor should find new teaching strategies that best fits for each and new candidates who are ready and have potential in doing good at the specific position. The mentee should also ask questions if there are just things that he does not understand so that he or she can get the full grasp of the concepts and terminologies being discussed that would be useful in the position. You may also see emergency action plans.